You can also perform a more selective search for churches in the Sudbrooke area or see them printed on a map. The Anglican parish church is dedicated to Saint Edward the Confessor. The church was rebuilt in 1860. The church only seats about 87. 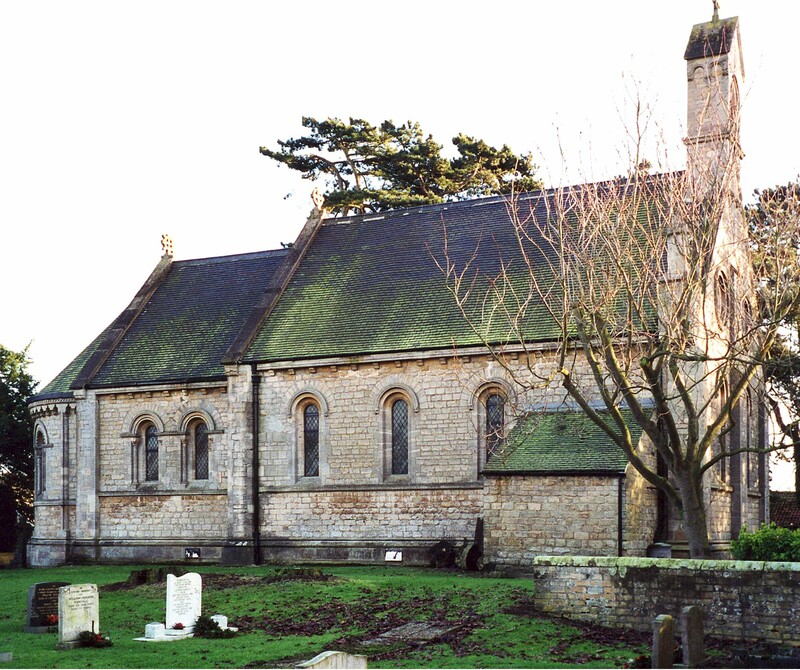 Richard CROFT has a photograph of St. Edward's Church on Geo-graph, taken in December 2005. The Anglican parish register dates from 1579. The Lincolnshire FHS has a Loan Library service which has the parish registers on microfiche for Baptisms and Marriages from 1579 to 1812. This parish is just north-west of Lincoln parish and city and north of Reepham parish. It is a small parish, covering only about 1,000 acres. Check for bus service from the Lincolnshire Road Car Company of Lincoln. Ask for a calculation of the distance from Sudbrooke to another place. You can see the administrative areas in which Sudbrooke has been placed at times in the past. Select one to see a link to a map of that particular area. Sudbrooke Holme, a brick mansion, was the residence and property of Mrs. Elizabeth ELLISON in 1871. The home was the former seat of the BERESFORD family. Sudbrooke Holme was the residence and property of Coningsby Charles SIBTHORP in 1900 and 1912. For a list of names on the war memorial plaque in the church, see the Roll of Honour site. The local Parish Council site provides Portable Document File copies of the Sudbrooke News for those of you who don't live in the parish. The parish was in the ancient Lawress Wapentake in the West Lindsey district in the parts of Lindsey in the 19th century. Bastardy cases would be heard in the Lincoln (Bail and Close) petty session hearings. The ELLISON Trust Fund annually provided £20 to the poor of the parish. As a result of the Poor Law Amendment Act of 1834, the parish became part of the Lincoln Poor Law Union. In 1876 Mrs. Humphrey SIBTHORP left a legacy of £100 for the poor of the parish. The children of this parish attended school at Scothern parish.